The efficient and versatile Windpro has been adapted to burn inverted canisters. This adapted setup improves performance in cold weather and a provides a more fluid and consistent output throughout the life of the canister. 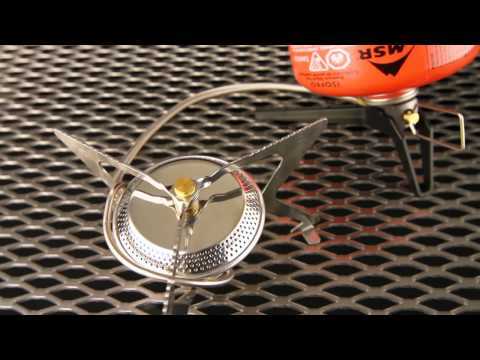 Like the original design, the Windpro II has a remote burner: the canister and stove are connected through a fuel line. Because the stove is not set directly above the canister, you can safely use a windscreen to protect the flame. 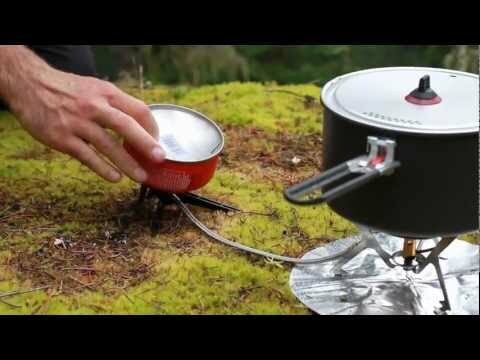 This dramatically improve the stove's performance and efficiency, particularly in stormy, gusty places. Excellent stability for large (up to 25cm) pots and can be used with bake ovens. Includes a windscreen, heat reflector, and inverted canister stand. Precision flame control, from torch to simmer.